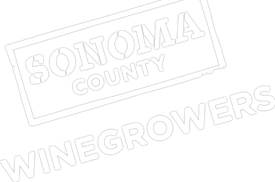 The Sonoma County Winegrape Commission, The Ratto Group and the Sonoma County Agricultural Commissioner are co-sponsoring a free Vineyard and Winery Materials Recycling Day on November 7, from 8:00am to 2:00pm at the Sonoma County Transfer Station located at 166 Alexander Valley Road, Healdsburg. The next vineyard materials recycling day will be held in Sonoma on March 13, 2014. Accepted for FREE are: drip hose, drip tube and tape, steel posts, PVC and metal irrigation pipe, grow tubes, trellis wire, and clean rolled and tied bird netting. New this year, growers may bring in plastic sheeting at no charge. Accepted for a FEE are: wood pallets and clean wood waste. Pressure treated stakes and posts will not be accepted at this time. This recycling event is open to all members of the agriculture community with the listed acceptable items to recycle and the appropriate completed form. For more information contact Karen at 707-522-5862 or [email protected].